His list of clients includes American Weekly, Nabisco, Royal Crown Cola and General Electric. 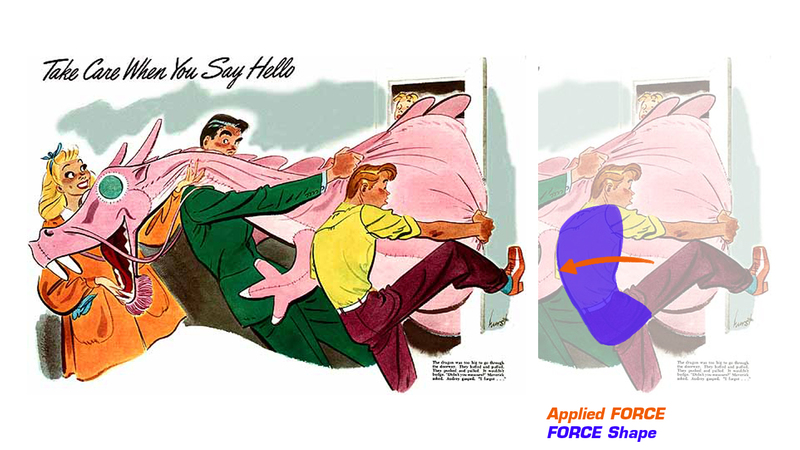 The guy’s torso has a clear FORCE Shape in the illustration below. Notice the Applied FORCE on his back, as he pulls the dragon out of the doorway.